Much has been written about Auschwitz extermination camp. However this piece provides insight into the unique savagery of the barbarities of fascism and its factories of death. 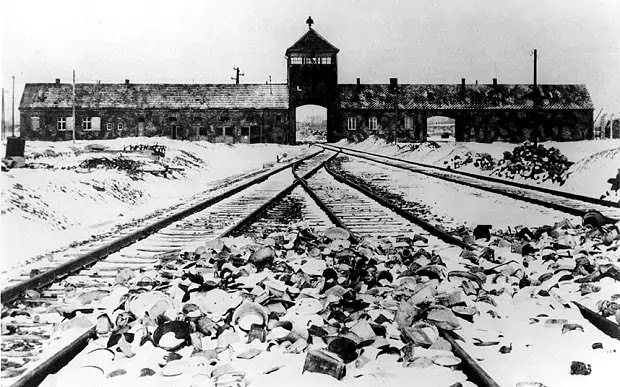 Auschwitz wasn’t officially known of as an extermination or death camp, as opposed to a concentration camp, until April 1944 with the writing of the Auschwitz Protocols. However British Intelligence was aware of the activities of Auschwitz far earlier owing to decryption of Nazi signals. At Bletchley Park, the SS code had been broken early in the war including communications with the extermination camps. During the summer of 1941 Order Police reports of mass shootings in Occupied Russia were deciphered. The truth is as Walter Lacquer’s Terrible Secret shows, there was no interest, either by the West or the Zionists in uncovering the secret of Auschwitz. That was why it remained undiscovered. We should not be deterred from understanding what happened in the Holocaust and why, simply because today the Zionist movement, the Israeli state and the Western capitalist states exploit what happened over 70 years ago in order to justify Israel's racist obscenities. Zionism, with its creation of a state based on race, defames the memory of those who died, Jewish and non-Jewish, in Auschwitz and Birkenau. That however is never a reason to deny that the Holocaust took place. The Zionists create holocaust denial through their exploitation of the memory of the millions who died. Indeed they deliberately create the false ideology of holocaust denial in order to 'prove' that the anti-Semitism which they create is still alive. Monthly Review. 39.8 (Jan. 1988): p33. The literature on Auschwitz is now extensive and there may, at first, seem to be little point in publishing yet another memoir of one of its former inmates, all the more so when the memoir is brief and adds no new facts to those already well-known to the world. But it is the person and perspective of the author which give the memoir below some claim to our attention. The author was the Ukrainian Marxist Roman Rosdolsky (1898-1967), who was arrested by the Gestapo in Cracow in 1942 for aiding Jews. Rosdolsky had been one of the founders and leading theoreticians of the Communist Party of Western Ukraine, but he left the party in opposition to Stalinism in the late 1920s. He remained true to the principles of revolutionary Marxism for the rest of his life. Since the 1930s he devoted himself to scholarship, producing a number of important studies in German and Polish on the agrarian history of East Central Europe and on the history and interpretation of Marxism. Part of the latter series was his very famous work on The Making of Marx's Capital (Pluto Press, 1981). The text which appears below was originally published in the Ukrainian emigre socialist journal Oborona in 1956 and reprinted by another Ukrainian socialist journal, Diialoh, in 1984. This is its first appearance in translation. --John-Paul Himka (Professor of History, University of Alberta). Thank you very much for mentioning the "death museum at Auschwitz" in your periodical. Permit me to use the occasion of your remarks to share with Oborona's readers some memoirs concerning my own stay in the camp at Auschwitz. The American correspondent whose words you paraphrase was mistaken only in one point: Auschwitz was not only a "death camp" but also an enormous forced-labor camp, with numerous subsidiary camps spread over considerable territory; on the average it held some 80,000 slaves of the German Reich. It was a sui generis "state within a state," with a whole series of industrial, mining, and even agricultural enterprises. Its goal was to extract as much labor as possible from the prisoners working there, while spending as little as possible on feeding them. 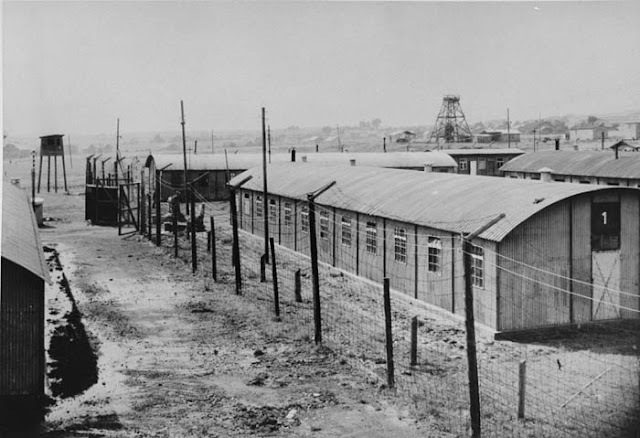 In this sense the entire camp was also an enormous "death factory" in which--especially in its first years of existence (1940-42)--the average prisoner did not remain alive longer than three or four months. 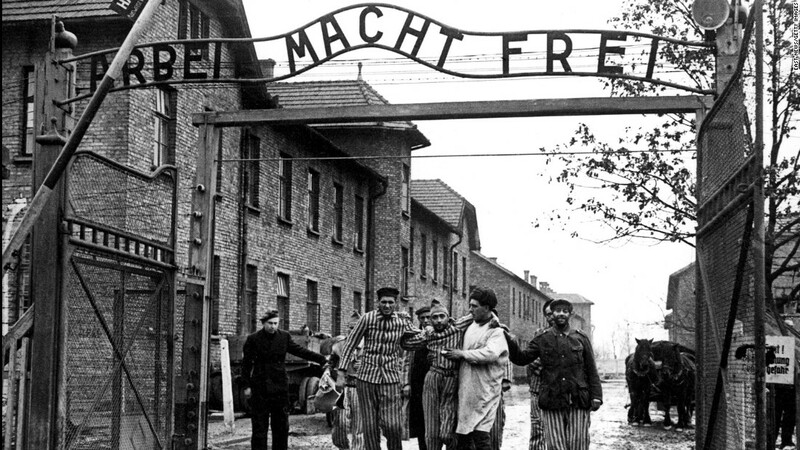 Fortunately for me, I wasn't taken to Auschwitz until early 1943, that is, at the time when the regime in the central camp, Auschwitz proper, where there were 15,000 prisoners on the average, had begun to relax. This relaxation was shown, above all, in that after May of 1943 the so-called Kapos, Blockaltester, and Stubendienste no longer had the right to kill with impunity prisoners subordinate to them; before then, such murders were everyday business. The Kapos, etc., were prisoners, generally professional criminals, appointed by the camp authorities to head work teams and keep charge over the barracks in which we lived. This "reform" was mainly motivated by the labor shortage which the Third Reich was beginning to feel; the Hitlerites decided to "economize" on human material that was still fit to work. True, even in the first months of 1943 they still sent all cripples, old people, typhus convalescents, and people with swollen legs or no teeth to the crematorium. I myself was in the camp "hospital" and lived through two large-scale "sortings" in which Hitlerite doctors combed through the patients, sending several hundred to the gas chamber. But by the middle of 1943 this particular horror had passed for us, i.e., for the so-called Aryans (non-Jews), and we could report sick and go to the hospital without risking death. To the unfortunate Jews, however, and only to them, this reform did not apply. Still, some months later, we witnessed a horrific spectacle as a dozen or so trucks pulled into the camp and took hundreds of people from the hospital, clad only in their shirts, to the gas chamber. So much for the central camp at Auschwitz, which--I repeat--during 1943-44 began to become more and more like ordinary Nazi labor camps such as Dachau, Oranienburg, and Buchenwald. 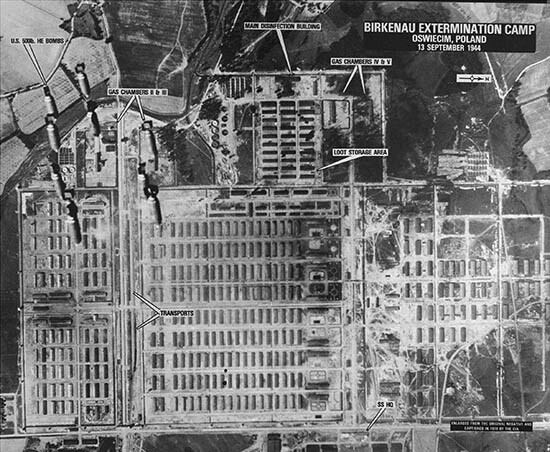 But three kilometers from us was a huge subsidiary camp, Birkenau (in Polish: Brzezinki), where living and working conditions were a hundred percent worse than our own; it had gas chambers and six crematoria in which people were killed with poison gas and the corpses burned day and night. Here the gates of Hitler's hell were thrown wide open. Even before I had arrived in Auschwitz, Birkenau had "finished off" 16,000 select Soviet POWs: Red Army officers, politruki, Communists, intellectuals. Of that entire transport only fifty persons survived. Here, too, several dozen thousand "recalcitrant" Poles met their Golgotha. And this was a gigantic cemetery for the Jewish population of almost all of continental Europe. For the whole of two years, 1943 and 1944, transports would arrive at Birkenau with thousands of Jews from Poland, Slovakia, Bohemia, Norway, the Netherlands, Belgium, France, and Greece. Only a small portion of them--specialists of all sorts--were chosen to work in our camp and Birkenau. The rest, and all women and children, were immediately dispatched to the gas. It was such an everyday occurrence and we grew so accustomed to it that we began to note as extraordinary those days when there were no Jewish transports and no flames shot up from the chimneys of the crematoria. The reader will ask how I know all this. Unfortunately, not just from conversations with other prisoners in Auschwitz and Birkenau; I was forced to witness it. From spring 1943 until autumn 1944 I worked as a carpenter on the second floor of a huge factory, Deutsche Ausrustungswerke, which stood halfway between the main camp and Birkenau. The large factory windows looked out over Birkenau. From them we saw, maybe a hundred paces from us, the end of the railroad tracks leading to Birkenau as well as, and above all, the chimneys of the crematoria. We could have no doubt about what went on beyond the gates of Birkenau's hell. There's no point in going into all we experienced and how we grew old inside during that year and a half. I'll just describe the most terrible period, the so-called "Hungarian action" of the summer of 1944. Beginning May 4 of that year, and day in, day out thereafter, four or five long trainloads of Hungarian Jews would pull into the tracks before our windows. They were unloaded in a hurry, and any bundles anyone had were taken away. Then SS-men came and divided the new arrivals into two groups, separating the men from the women and children. 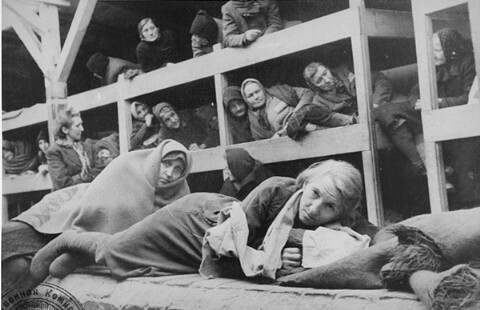 They chased them all off to the "showers," that is, to the gas chambers. Immediately afterwards a special work team went through the bundles, removing food and clothing and searching for money and gold. The barracks of this work team were separated from our factory only by a wooden fence. The team was made up of several dozen young women prisoners, each wearing a red kerchief on her head. They were allowed to eat whatever perishable food they found in the bundles. This dreadful work team was generally referred to as "Canada." By the first week of May "Canada's" yard was already piled high with bundles. We were always tormented by hunger, and the bolder prisoners among us began to steal these bundles from behind the fence. At the same time the smoke began to billow from all six crematoria. And this was not all. Just next to Birkenau, to the right of us, lay a birch forest (hence the name Brzezinki/Birkenau). A huge fire began to blaze in the woods, the flames alternating with thick, yellowish-grey smoke. A few days later we found out what was happening: the crematoria were unable to handle thousands of corpses, so a deep pit was dug in the Birkenau woods to burn the unfortunate victims. Some time at the end of May our factory received an order to supply Birkenau with a dozen or so iron-tipped hooks four meters long. At the head of the order, which I read with my own eyes, it said: Ungarische Aktion. True, today on both sides of the "iron curtain" they design and produce bombs that can destroy and pulverize just as many living people in the span of one minute. But the Third Reich did not yet know the blessings of modern technology. How did all these horrors affect the life of our work team? Imagine: rows of work tables, at which stand our carpenters, sad as can be and "blacker than the black earth"--mainly French Jews and Poles. No one speaks. All eyes are focused on the woods of Birkenau and the crematoria. Only now and again someone laughs bitterly, hysterically, and then wipes tears from his cheeks. It was impossible to open the window, since the air was completely permeated by the intolerable, stifling odor of burnt flesh. "Ich rieche, rieche Menschenfleisch (I smell, I smell human flesh)," my friend Ludwig, an Austrian, tells me, using the words of a witch from one of Grimm's fairy tales. Only the witch smelled in the air the scent of two children, and we smelled the odor of burned corpses, thousands of corpses. But human nature is tough, astonishingly tough. Day after day we went to our factory, stared at the bloody incandescence of the Birkenau woods, and none of us went insane, none of us took our own lives. Yet could we have entertained any hope of evading death in the gas chamber? After all, we were witnesses to one of the greatest crimes in human history! One of our carpenters said to me: "Today it's them [the Hungarian Jews], tomorrow it's us [the Jewish specialists in the camp], and the day after it's you [all the non-Jews]." And this resolution of the matter struck us all as the only rational one from the Hitlerites' standpoint, the only possible one. How else to be rid of the witnesses to their crime? Only one faint hope flickered in some of our hearts: that the collapse of the Third Reich would catch those beasts by surprise before they could accomplish their plans and that at the last minute fear of retribution would stay their hands. But during the entire month of August, we ourselves had to dig a great pit in the central camp, just like the one that had been dug in the Birkenau woods. Officially it was called a Luftschutzkeller (air-raid cellar), but there was not one prisoner in the whole camp who was fooled by this name. For me personally the hell of Auschwitz came to an end unexpectedly. In the first days of September I was included in a transport of Polish and Soviet prisoners being sent from Auschwitz to Ravensbruck, near Berlin. When they herded us into the wagons, we still kept thinking that they were going to transport us to Birkenau, to the gas chambers. But our train moved west and the glow from the crematoria disappeared from sight. We began to breathe fresh, unpoisoned air. And though we knew that death lies in wait for all prisoners in Hitler's camps, we were none the less as happy as children, because we had been snatched from the hell of Auschwitz. Why do I write about this? Why reopen old wounds? Let me just recall one small episode. It was in the camp, on Sunday, after lunch. A group of prisoners were lying on their bunks and talking about the end of the war, which they expected was approaching. A young Pole, Kazik, turned to an older prisoner, whom everyone called "the professor," and asked him: "Professor, what will happen to Auschwitz after the war?" "What do you think should happen?" answered "the professor." "We'll go home." "Don't talk nonsense, professor," said Kazik. "No one here will get out alive." "That's true," said the professor. "But, still, the living should not abandon hope [words of the Polish poet Juliusz Stowacki]! And as for Auschwitz itself, the new Poland will build a great museum here and for years delegations from all of Europe will visit it. On every stone, on every path, they'll lay a wreath: because each inch of this earth is soaked with blood. And later, when the barracks collapse, when the roads are overgrown with grass and when they have forgotten about us, there will be new and even worse wars, and even worse bestialities. Because humanity stands before two possibilities: either it comes up with a better social order or it perishes in barbarism and cannibalism." The unfortunate professor was only repeating the words already spoken by the socialist thinker Friedrich Engels 80 years ago. I had heard them several times before the war. But in the bunks of Auschwitz they sounded more real and more correct than ever in the past. And who today, after all the Auschwitzes, Kolymas, and atom bombs, can doubt the truth of these words? Rosdolsky, Roman. "A memoir of Auschwitz and Birkenau." Monthly Review, Jan. 1988, p. 33+. Academic OneFile, go.galegroup.com/ps/i.do? Accessed 12 Apr. 2017.